Sunday Gravy, isn’t what you might think it is, it’s not the Brown meat jus that you pour over your meat and vegetables. Sunday Gravy is a slow braise of succulent beef, pork, sausage and meatballs, simmered with plum tomatoes, garlic and basil. This is the perfect weekend recipe, it isn’t a quick by any means, but its certainly worth awaiting for, and your kitchen will smell amazing. Don’t scrimp on size or volume, get out your biggest pan, if you’re going to do it right, then lats make a big batch. 4 x Tinned Tomatoes, plus half a tin of water per tin. 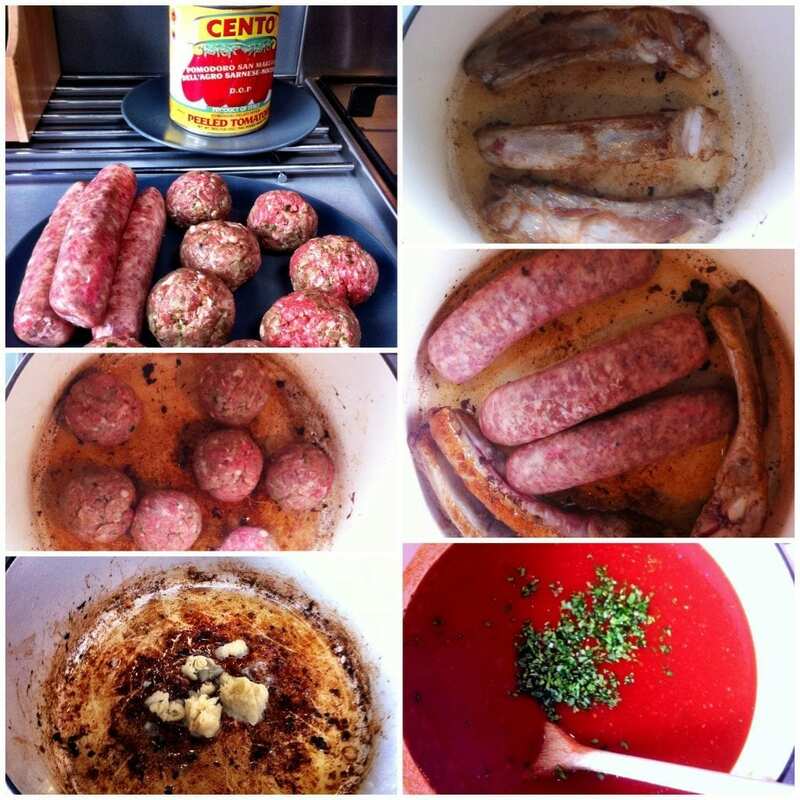 Brown the ribs, the Italian sausage then the meatballs – then set to one side. Add your sausage n ribs back into the pan. Alternatively dress some pasta with a little sauce as a starter, setting the meat aside to serve as a main course..